We all tell little white lies every now and then – whether it is to save someone from embarrassment, or to avoid hurting other peoples’ feelings. In our complicated social world today, lying is a common everyday experience. We all lie for various reasons – some of us lie because we wish to impress others; and some of us lie because we don’t wish to get into trouble. While an occasional white lie is generally accepted in society, compulsive or excessive lying can seriously affect our relationships with the people around us. When we find it difficult to stop lying – even if telling the truth was okay – then we have a serious problem. When we lie too often, we lose the respect others, and we lose respect for ourselves too. Our excessive compulsion to lie will put us in a negative light in the eyes of others, and damage our relationships with the people close to us. It’s a terrible compulsion to be dealing with. Do you often find yourself telling lies when there are no bad consequences in telling the truth? Do you feel unsafe in telling others what you truly think and feel inside? 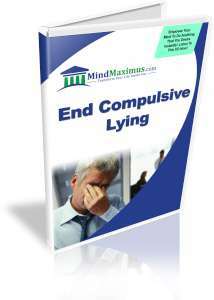 Is your personal and professional life being affected by the seemingly unstoppable compulsion to lie? Are you tired of being controlled by this compulsion? 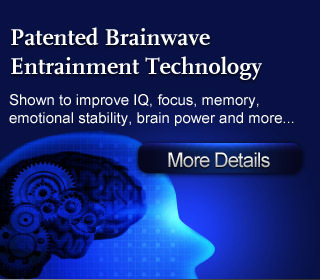 Thankfully, with today’s advanced Brainwave technology, we are now able to go straight to the problem-causing areas of our minds to reduce the urge to tell compulsive lies. With the latest brain entrainment techniques, we can effectively ‘train’ our minds to eliminate the urge to tell unnecessary lies, without any negative side effects whatsoever! No reviews on E04 End Compulsive Lying so far.